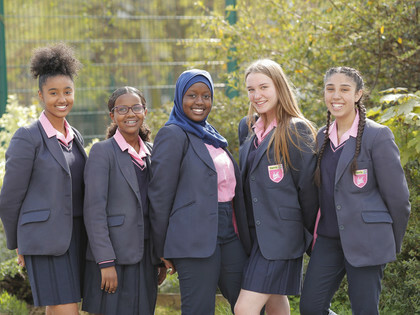 At Harris Academy Bermondsey we are passionate about making a difference to the lives of our young women, ensuring that they have every opportunity to succeed by identifying and nurturing each one's individual talents. Why not come and see our school for yourself at one of our open days in September and October 2018. All starting 10am. Our HAB6 Sixth Form Open Evening is on Tuesday 16th October, 5.30pm–7pm. We look forward to welcoming you. Why not watch Year 7 students talking about their first year at HAB. HAB is rated as Outstanding in every category. Please note... we previously published an Open Morning on 24th October too. However, this was an error and the last Open Morning for this academic year will be held on Wednesday 17th October (as shown above). If you have been unable to attend any of our Open Mornings and would like to have a look around Harris Academy Bermondsey before the admissions closing date of 31st October, please email vicki.inglott@harrisbermondsey.org.uk or contact the Admissions Officer to arrange this. Thank you.